With cafes bordered by the ocean, an unspoilt harbour, vineyards and numerous stunning beaches, Tauranga is the jewel in the crown of the North Island’s Bay of Plenty region. Only three hours easy driving from Auckland, you’ll enjoy a laidback country vibe in a small city that’s still large enough to provide plenty of entertainment. It’s easy to understand why this area was named Bay of Plenty, you’ll see plentiful evidence that this is a fertile agricultural hub. Numerous vineyards thrive here, as do orchards, dairy paddocks and diverse crops. But Tauranga, and the Bay of Plenty, is known primarily for its many stunning beaches that attract swimmers, sun bathers and surfers over the summer. 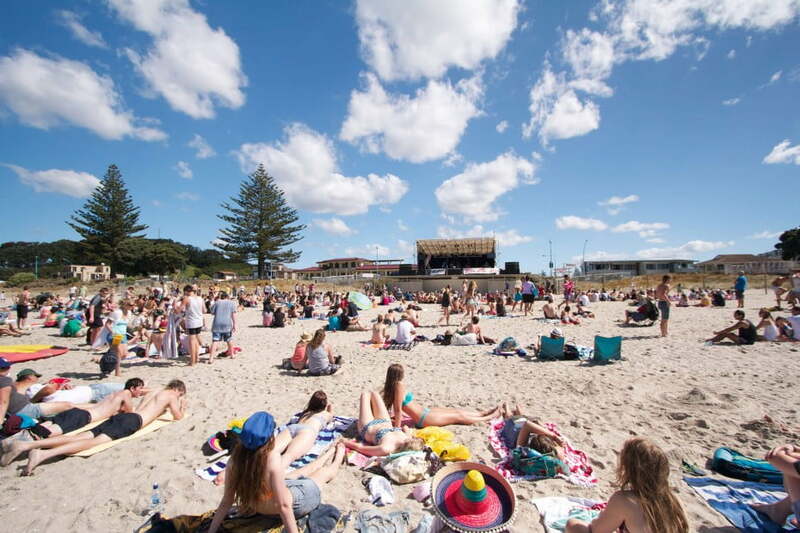 Mt Maunganui is Tauranga's most distinctive landmark, situated at the end of a peninsula and overlooking a highly popular entertainment strip packed with cafes, bars and fashionable retail shops – you'll never be in any doubt as to which direction the fun is at. 'The Mount' boasts a very popular and family friendly walking trail, taking even the most leisurely stroller a maximum of 50 minutes to climb slopes dotted with majestic pohutukawa trees. Once atop The Mount you’ll enjoy panoramic views of the Pacific Ocean on one side, and picturesque Pilot Bay on the other. This is an impressive vantage point to look down over the white sand expanse that is Mt Maunganui beach and its accompanying Marine Parade esplanade. Always a popular picnicking and recreational spot, Marine Parade is the perfect place to treat the family to ice-creams or some hot chips. Always a popular picnicking and recreational spot, Marine Parade is the perfect place to treat the family to ice-creams or some hot chips. If you're craving more thrill seeker type experiences, there's plenty on offer. Head to nearby Papamoa Beach and get your pulse racing with a land sailing ride. These craft are basically small aerodynamic three wheeled buggies with a windsurfer sail, add a strong breeze and you'll definitely feel your pulse race. There's also numerous 'dolphin safaris', which are scenic charters on cruising launches departing daily from Tauranga and Mount Maunganui. Surf schools, fishing charters, scenic flights and sky diving – there's plenty of thrills to compliment Tauranga's laidback beach holiday vibes.